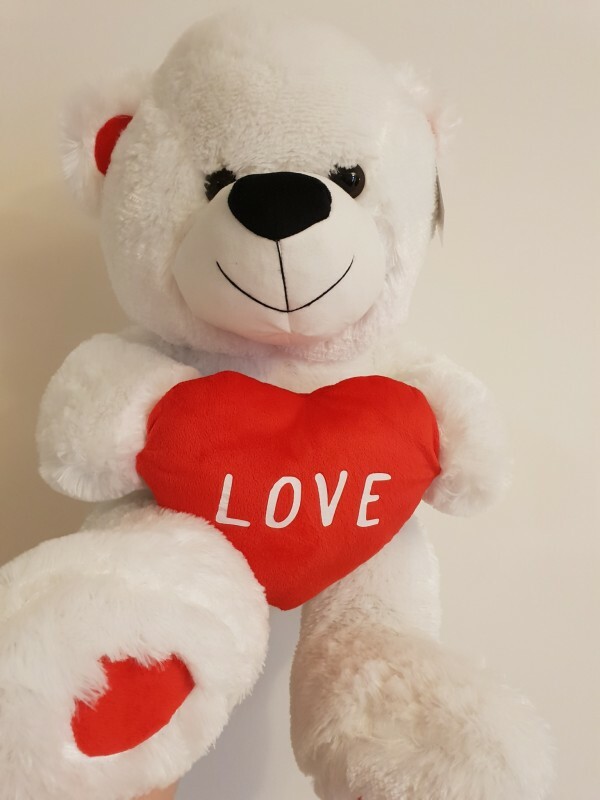 Cuddles is a big white Teddy bear at a huge 52m high, this is the perfect statement gift sure to impress your loved one. He is holding a red love heart pillow. This teddy is so cute you just want to hold and hug him!